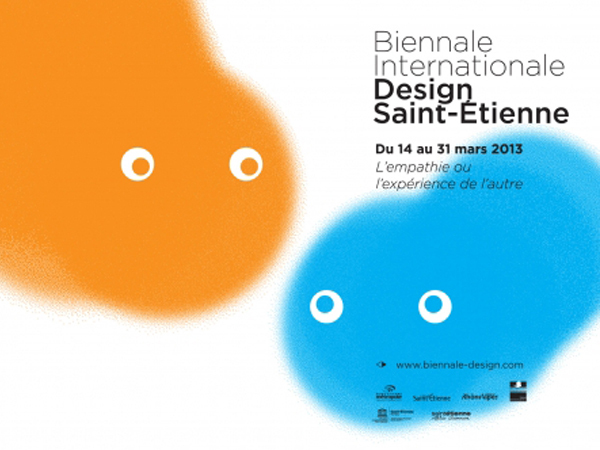 The 2013 edition of Saint Etienne's International Design Biennale will take place in March, for the first time in its fourteen years of existence. The theme, chosen this year by the Cité du Design as a general question to fuel all exhibitions and events, is 'Empathy or experiencing the other'. Special installations and events spanning design, technology and architecture will be staged to explore ways to re-think society in a more respectful manner. As design is a dialogue between a creator and a user, what happens on the way between the two and what influence can they both have on the world in general? The Biennale will hence question the interaction we have with objects, with machines, with the planet and with the rest of the human community.